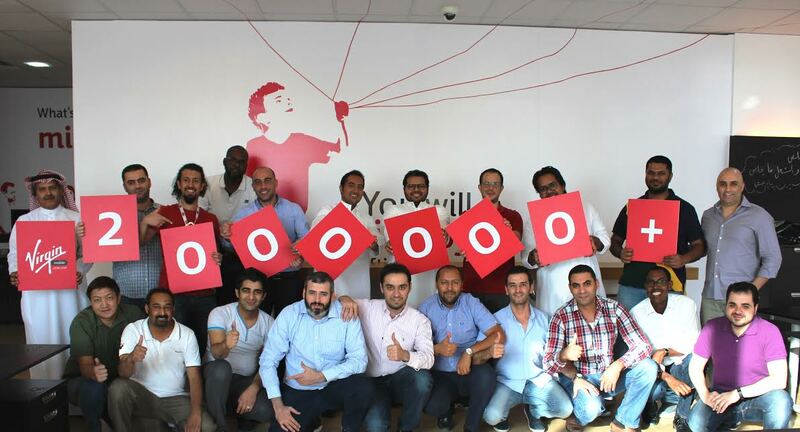 Riyadh: Virgin Mobile Saudi Consortium now counts more than two million people as customers. This major landmark has been achieved in less than two years since the company launched, and 10 months since it announced it had passed the one-million customer mark. It also comes just six months after Fouad Halawi joined the company as its Chief Executive Officer, bringing with him global expertise and an increased focus on creating innovative services. Virgin Mobile Saudi Arabia’s success lies in an absolute focus on innovation, both in its plans and customer experience. With one of the youngest populations on the planet and the highest smartphone penetration in the world, Virgin Mobile has been able to capitalize on the demand for data due to shifting customer preference.